Samara is a residential resort with a difference, an excellent combination of quality right down to the last detail, a relaxed and healthy lifestyle which is connected to nature and the good life and its location, which offer magnificent views of the sea and Marbella. All these elements make this project special and make it stand out from the rest. It is situated in a peaceful setting and well communicated with the AP7 motorway a few minutes away which allows easy and safe access. 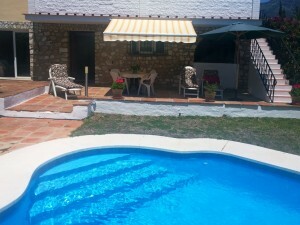 It is only 40 minutes from the international airport of Málaga and 60 minutes from Gibraltar airport. In the vicinity there is the La Cañada shopping center, the Costa del Sol main hospital, more than 20 golf courses and the best beach and water sports clubs in Andalucía. 2 Bedroom 2 Bath Penthouse 91 m2 plus 95 m2 terraces ?